Governor Andrew Cuomo promised to work hard for campaign finance reform. But so far he’s failed to deliver on that promise. Somehow, this part of the governor’s reform agenda seems to have fallen prey to the dysfunction that hinders or dooms many a good idea in Albany. A voter, a mere mortal, can find it hard to figure out what’s happening. It’s murky. The discernible facts are these. In 2010, a group of wealthy power brokers formed the Committee to Save New York. The purpose of this group was to push the Cuomo agenda, including pension reform and a property tax cap. It has spent $16 million dollars in the last two years campaigning for the governor’s program -- but where the money has come from is still pretty much a secret. It is known that the state’s racinos, which want a constitutional amendment to legalize casino gambling, formed the New York Gaming Association and gave the Committee to Save New York $2 million. And Genting, the largest gambling group in Southeast Asia, gave the committee $400,000. Genting wanted to build a $4 billion convention center and resort at Aqueduct racetrack in Queens -- but the deal fell through. 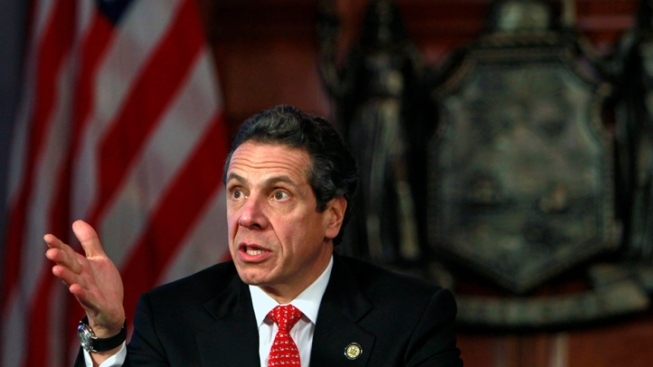 Is the Committee to Save New York a way of ensuring access to the governor? Cuomo has created a Joint Commission on Public Ethics. But it is still working on drafting regulations that would require the Committee to Save New York to disclose its still secret donors. And the governor still hasn’t taken action on setting lower limits on campaign contributions and setting up public financing of elections. The governor has personally raised about $12 million for his 2014 campaign -- and the Committee to Save New York has raised approximately another $12 million so far, for its agenda. Names of donors, up to now, are being withheld. Transparency in campaign financing is a noble goal. To hide the names of donors defeats the idea completely. And the governor himself can set the tone for his entire administration by how he acts here.